WELCOME TO THE SYSters' CORNER. Welcome to Systers’ Corner. Thank you for taking time out to visit and to know what our goals and visions are. Systers Corner was borne out of the need to reach out to women suffering from Polycystic Ovarian Syndrome (PCOS) and to offer support to them and their friends and family. 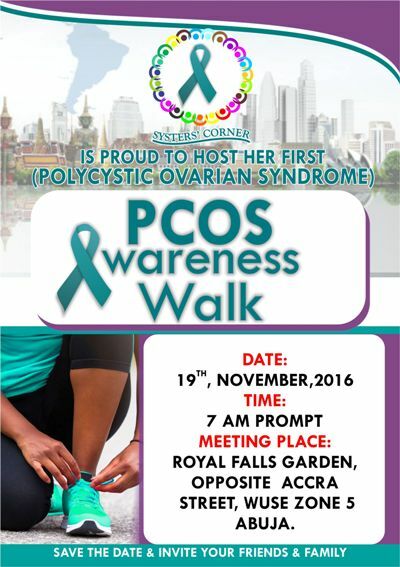 Our goal is also to create awareness about PCOS around Nigeria and Africa in general. Have you been diagnosed PCOS or you know somebody who has PCOS, join us at Systers’ Corner, don’t suffer alone, we are here for you.